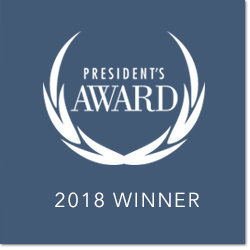 For the eighth year in our history, Honda East is proud to announce that we’ve been awarded Honda’s highest honor – The President’s Award for 2018. The entire team at Honda East is proud to have been recognized for excellence throughout the 2018 Calendar Year for our sales and service performance, and especially for the customer experience we deliver to our Honda customers. Established in 1995, the President’s Award challenges Honda dealerships to provide a superior automotive experience. With escalating goals each year, dealers achieving the President’s Award ensure Honda owners the highest purchase and ownership experience in the automotive industry. To commemorate this achievement, a trophy will be presented to the dealership and displayed in the showroom to recognize our commitment to the highest levels of excellence for our Honda customers.